Join Them for two weeks of exclusive online classes in an interactive, community-based event. 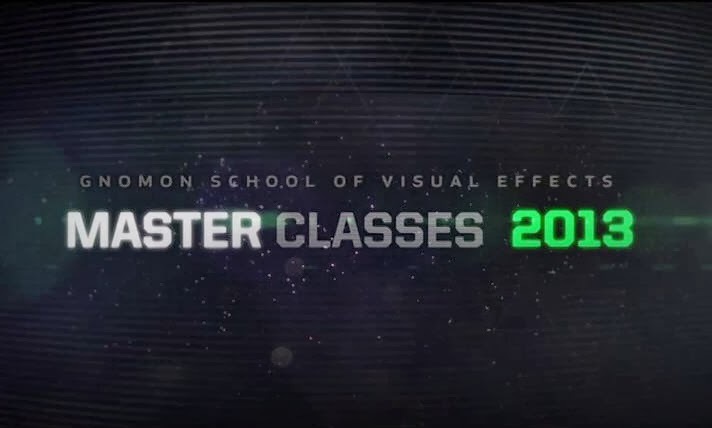 Each 2-hour class focuses on a different element of the visual effects and games industries. Each class is offered online in a private forum, allowing you to participate in discussion with the instructor and other students. All instructional videos are HD and can be accessed any time during the event, as often as you'd like. More information and join Gnomon Master Classes 2013 here or contact events@gnomonschool.com for more information.